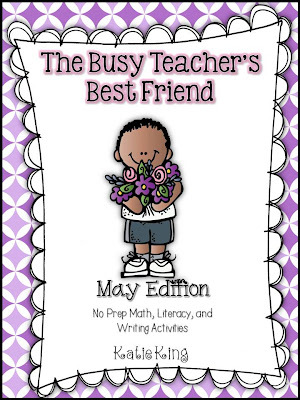 The May Busy Teacher is posted and on sale for today and Tuesday!!! 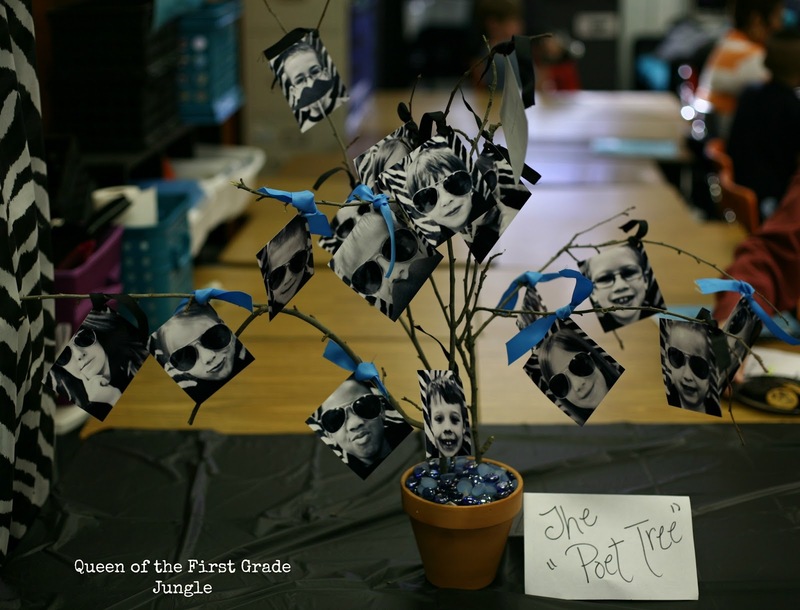 I hope you got to read my last post where I showed off my students' poems, but if you didn't CLICK HERE. 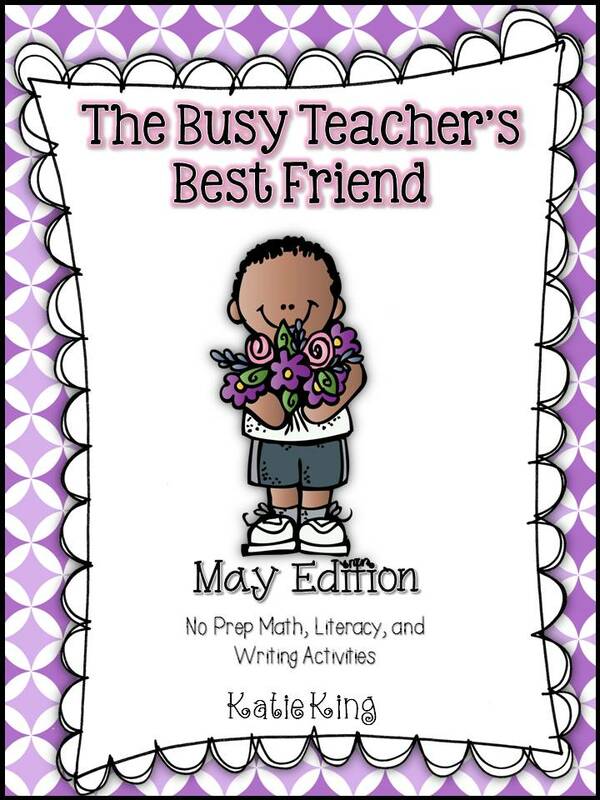 I need to mention two TPT products that helped me immensely with my students and their poems. 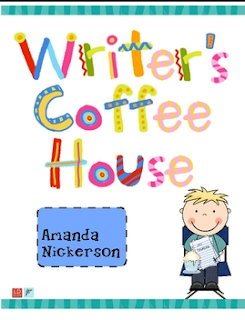 I found Amanda's Coffeehouse unit 2 years ago and fell in love! 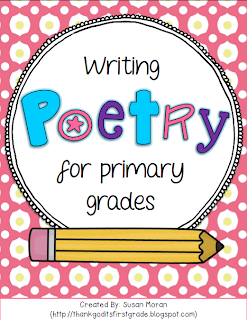 I begged Susan to put together this Poetry packet because I adore how Susan teaches writing. Please click on the pictures to check them out! NOW- prepare yourself for my picture explosion! Here is my spin on a "Poet Tree" (thanks for the materials Kate). In the hallway working out our last minute jitters and details! Performing our Readers Theaters to add some theatrics to the night! And last but not least- our poems. I may or may not have teared up during a few of them. I hope you consider creating ways to celebrate your authors whether it be through a coffeehouse or a publishing party! Make it BIG and MEMORABLE! 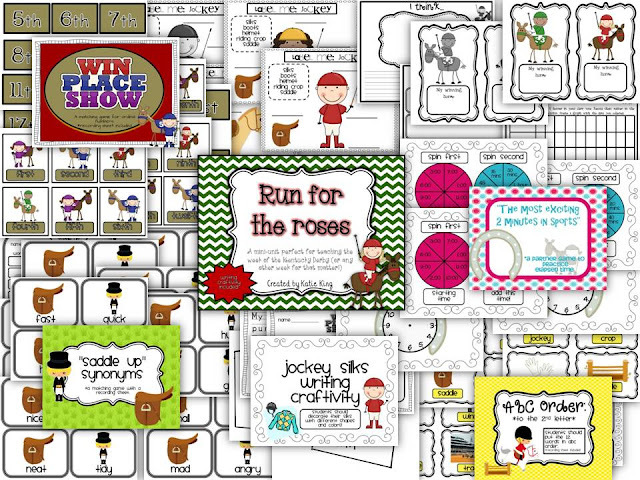 I updated my Run for the Roses pack and can't wait to use it with my students this week (this year's horses are included!). Tania and Katie Mg! I will email you all tonight with your units! If you want a chance to win it, make sure you are following me on FB!!! My love teaching writing to end of the year first graders! The light bulb has gone on- we spend most of our effort on content, as opposed to spaces and letter-sound correspondence. I am a writing workshop teacher---whole-heartedly. I don't know that I could teach writing any other way. We use Lucy Caulkins as our foundation as well. When it comes to poetry, I teach my students tools that they can use, but I do not teach form poems. I did make an exception for for Reagan's Rainbows so we could focus on adjectives and brighten up our hallways at the same time! 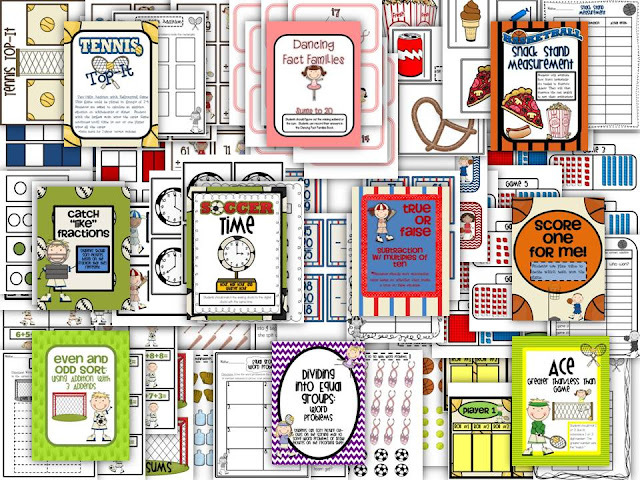 We use tons of mentor poems. My students also help me write poems about a suggested topic. We play music, turn the lights down low and WRITE. I love conferencing with my students and making suggestions on which tools they should use. I was blown away with what they were able to come up with overall. 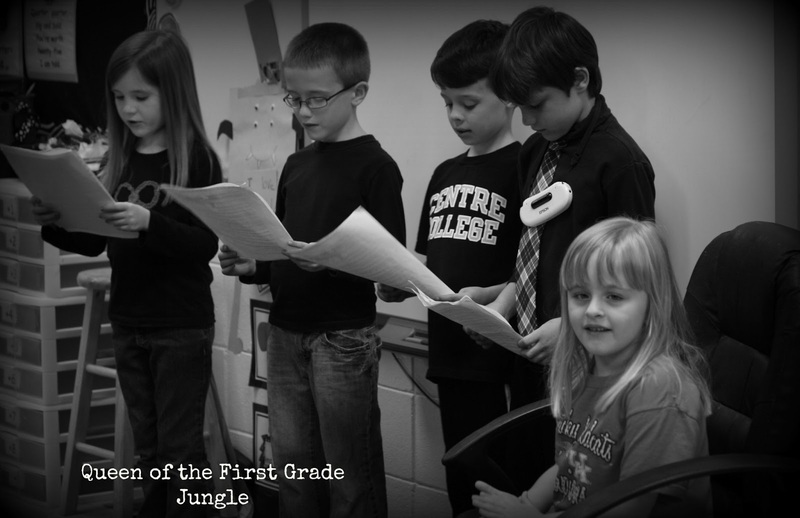 Tomorrow night I will be back with TONS of pictures and a write-up on our Class Poetry Night. This year I was doing some of my blog-stalking, and I came across a fantastic idea to write poetry and nonfiction about the same topic. 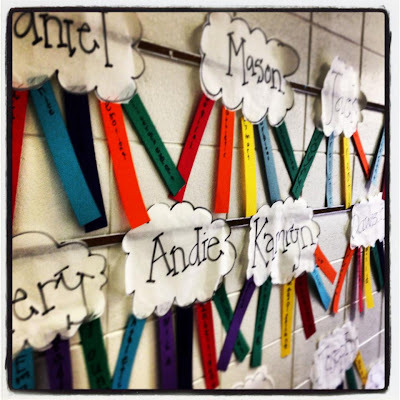 We had just hung our published All-About books in the hallway so this was the perfect topic for us. 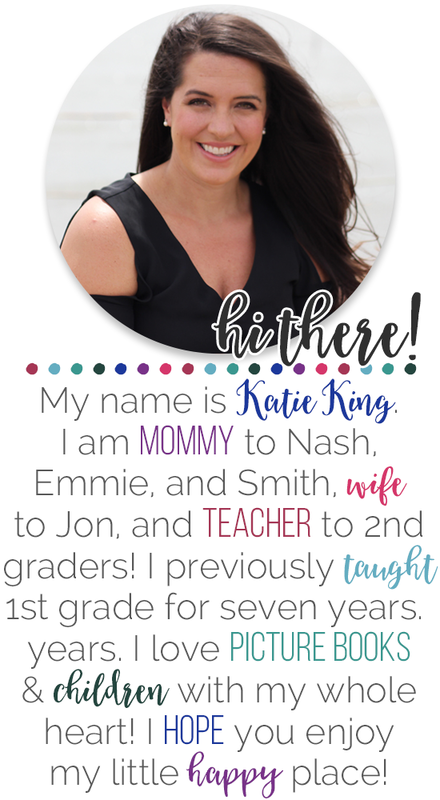 I got this idea from The Wonder Teacher (if you haven't happened upon her blog, you are truly missing out friends, because she is the kind of blogger that makes me want to be a better teacher!). She also suggested having the students water color along with their poems. Brilliant! 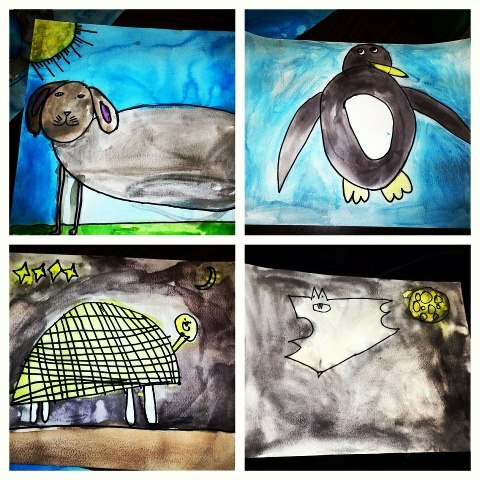 We did our watercolors first and used these gorgeous paintings to draw inspiration for our poems. 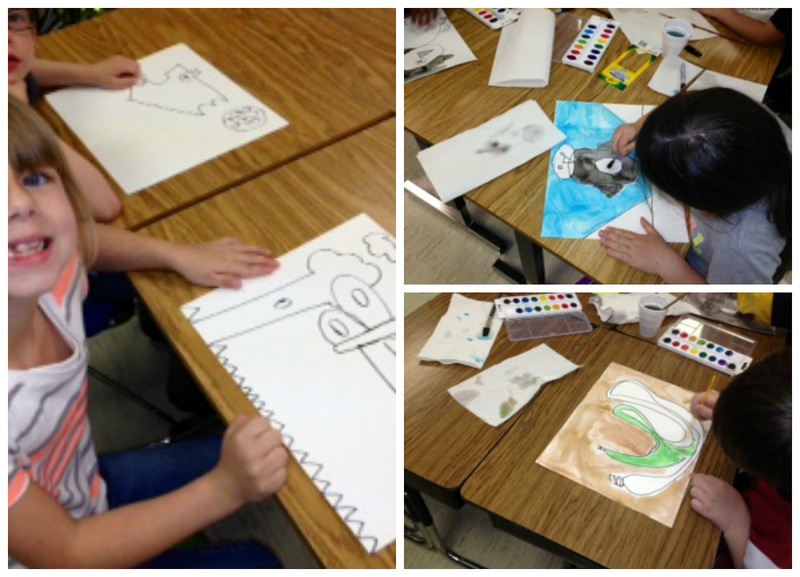 My hallway is BURSTING with our art, writing, and creativity in general. 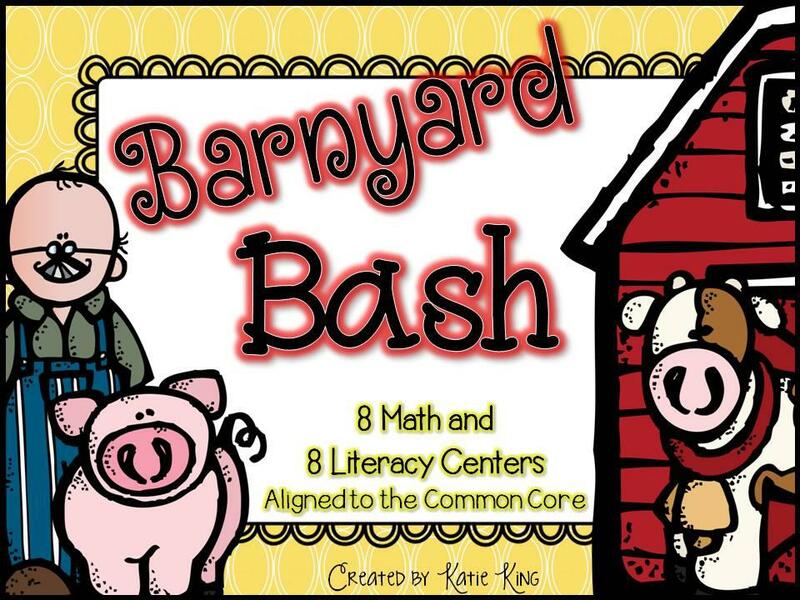 I can't wait to share pictures of our super cool coffeehouse tomorrow! Derby Time in the Bluegrass! I'm still here and kickin'- barely! Will you forgive me for disappearing? Why not do a giveaway? 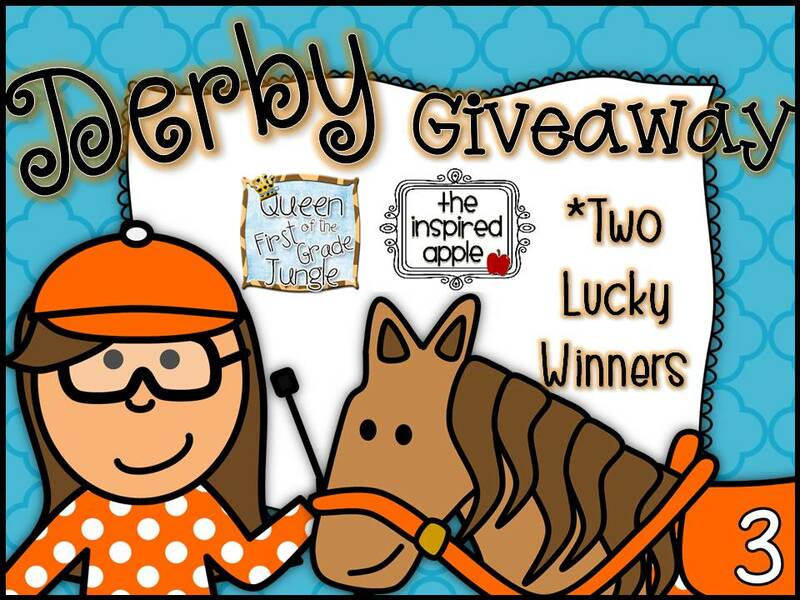 Abby from The Inspired Apple and I both have Derby Units! I will pick 2 winners this Friday at 10 p.m. Just in time for the week before the Kentucky Derby! 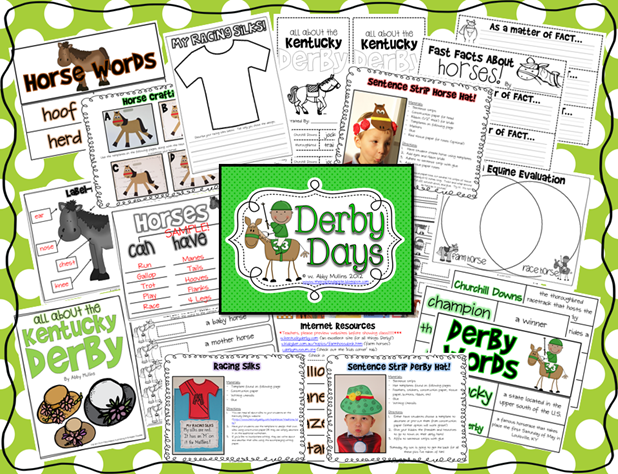 In order to have a chance to win the giveaway, leave a comment telling me what your favorite part of the Derby is! Make sure to include your email address! I will pick 2 winners Friday night! The stomach flu attacked my family this weekend- I know, gross right? Well we are all fine now and ready for the rest of the week. Last week we concluded a study on African Savanna. 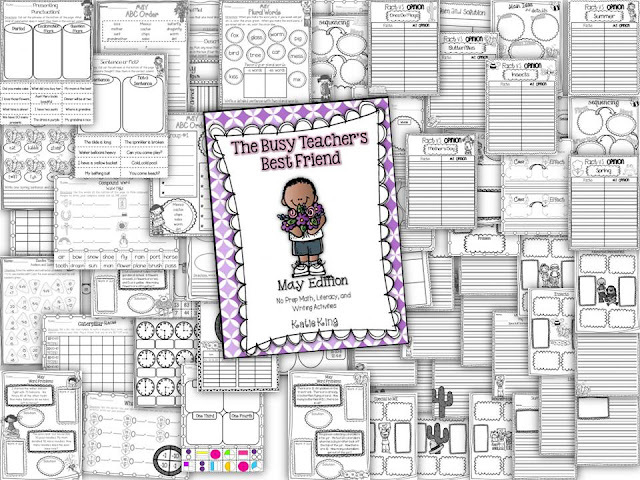 Did you know I have this Learning Log in my TPT store? 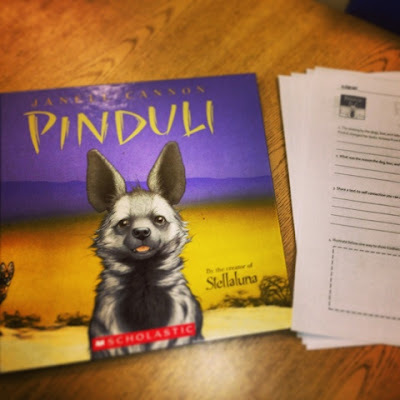 We also read the book Pinduli? Have you read it? It is FABULOUS. The vocabulary is through the roof, and the text provides a great starting point for a discussion on bullying and how you should treat others! 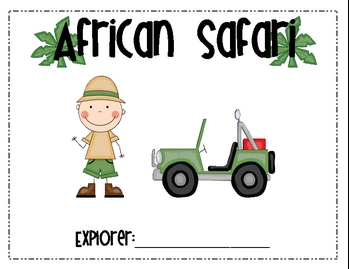 Oh yeah- and it is set in the African Savanna! We also spent a lot of time reviewing final digraphs this week! My kids LOVED challenging themselves to beat their old times in "I have, Who has!" It also served as a great team building activity! 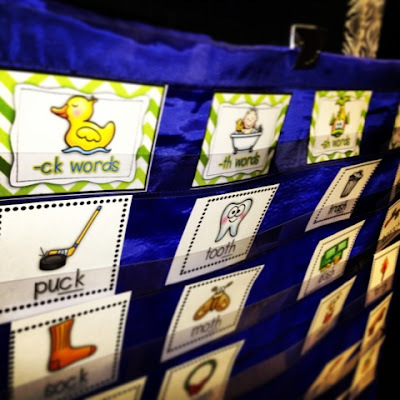 We also LOVE word sorts- I mean who doesn't, right? In math we broke out my Sporty Kids Math Centers to review addition with three addends (and much more!). I LOVE challenging my students with mental math and hearing their explanations for how they solve the addition sentences. 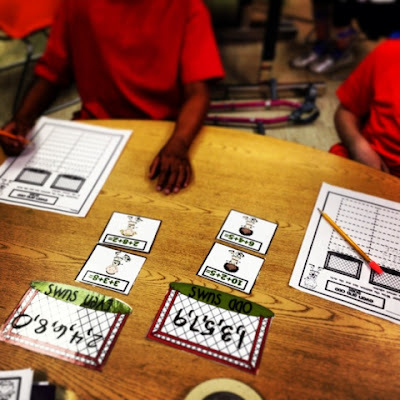 If you haven't taken the leap into teaching through small group math at all, I highly encourage you too! I have seen a huge increase in our number sense and ability to talk about our math thinking! 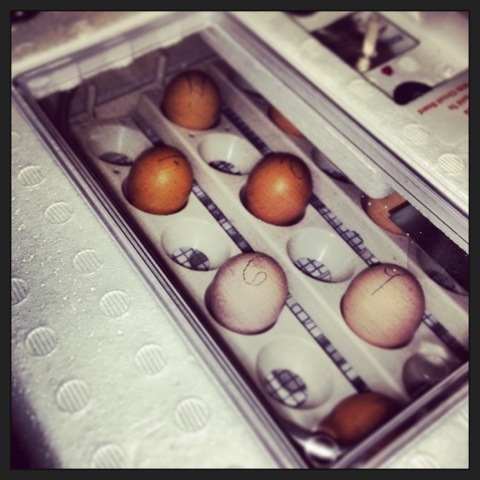 In other news-- OUR CHICKS ARE HERE! 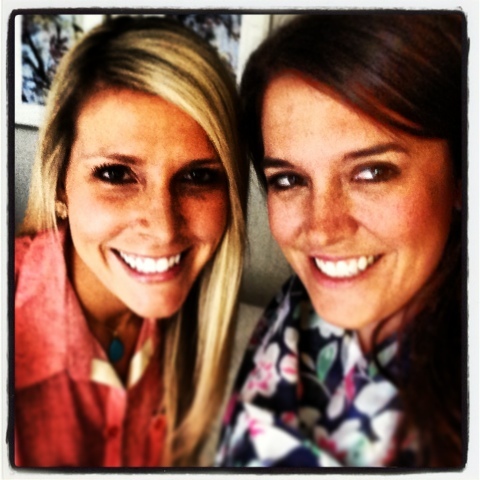 ....and we drove to ATL to meet some fantastic friends. Do I even need to introduce them? Okay, Okay- twist my arm! 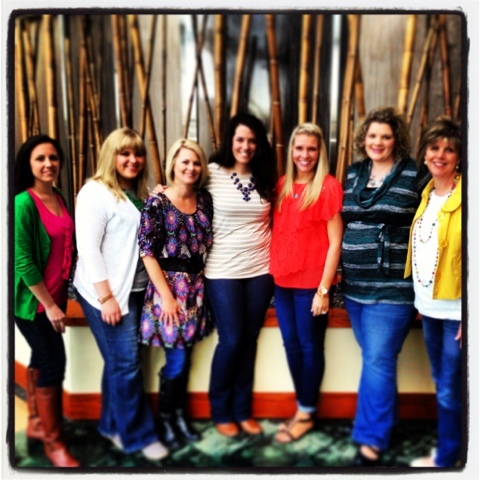 These women have been SUCH an inspiration to me, and I am so lucky to be able to call them my friends! Minus my MASSIVE migraine on Saturday, boo- we had a blast. We went out to eat, lounged, and shopped! We even went to a group favorite- Francesca's! 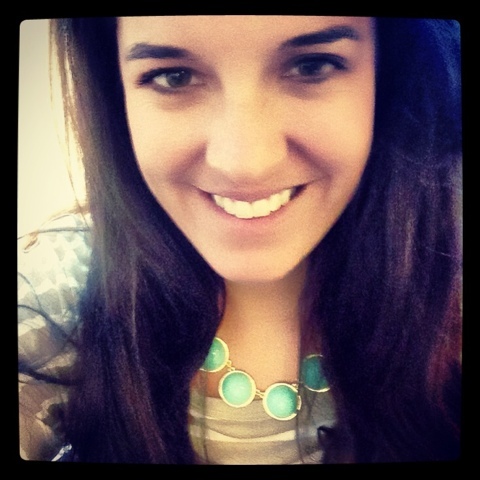 Don't make fun of me- not really a selfie girl, but I wanted a picture of my new necklace! 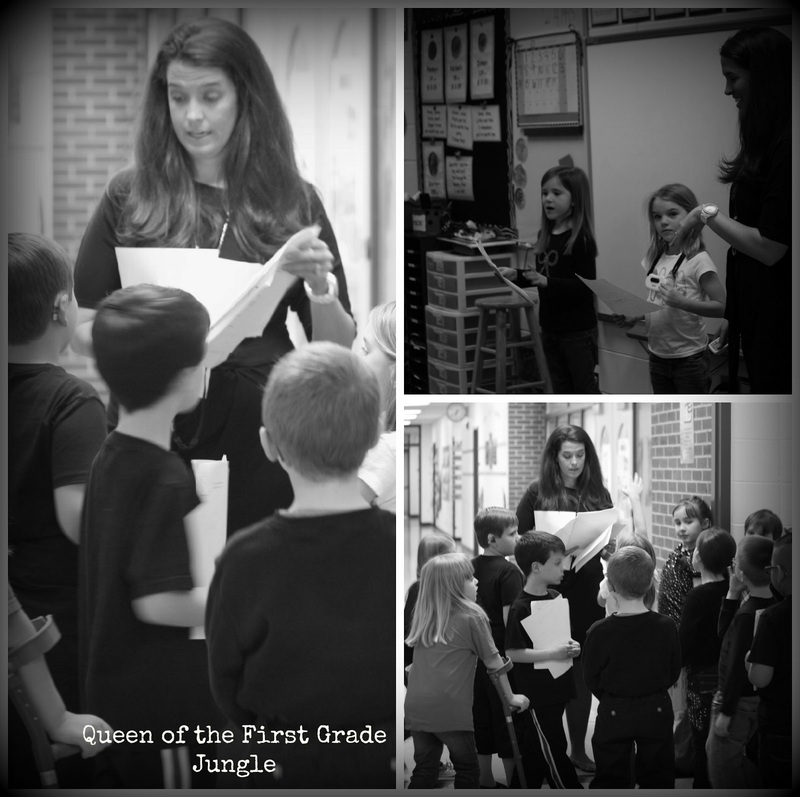 ps- I am on Instagram (queenof1stjungle). 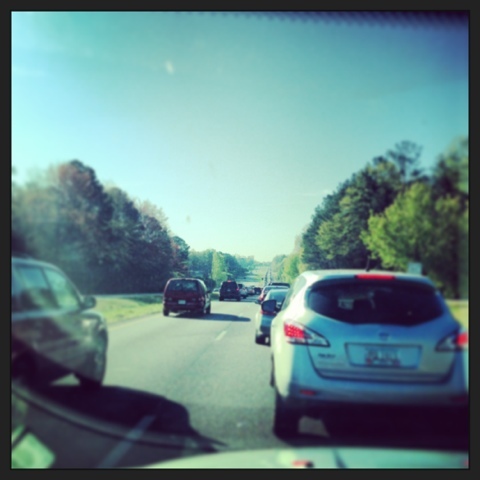 After a wonderful weekend, I had to rush back- I mean crawl back to reality....miles and miles and miles of traffic. Anyone else sit in the Knoxville traffic with me?!?! 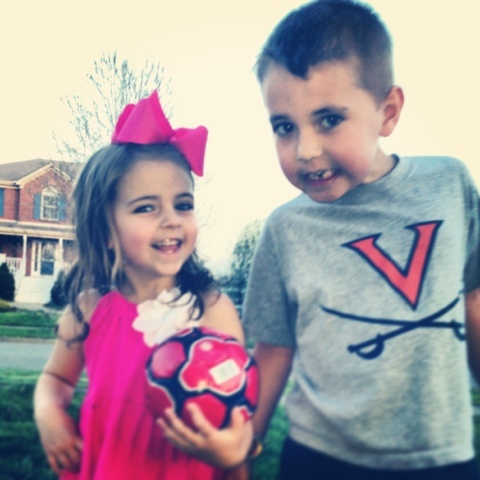 I am kinds of crazy this week because not only is Mr. King out of town- but Nash and Emmie are in full blown after school activity mode. Woah- this mommy is working it overtime. Nash had his first soccer game today <little man scored 2 goals!> I admit I got a little teary-eyed watching him because soccer was such a big part of my life for 18 years, and I am so excited to share this passion with him! 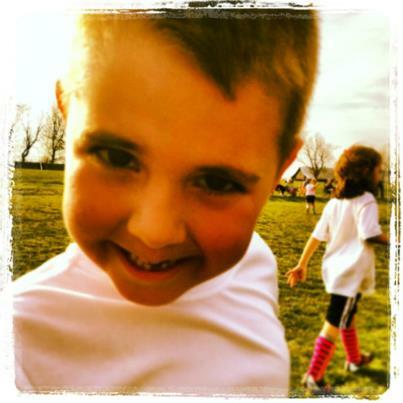 Watching him play, reminded me about my Sporty Kids centers. 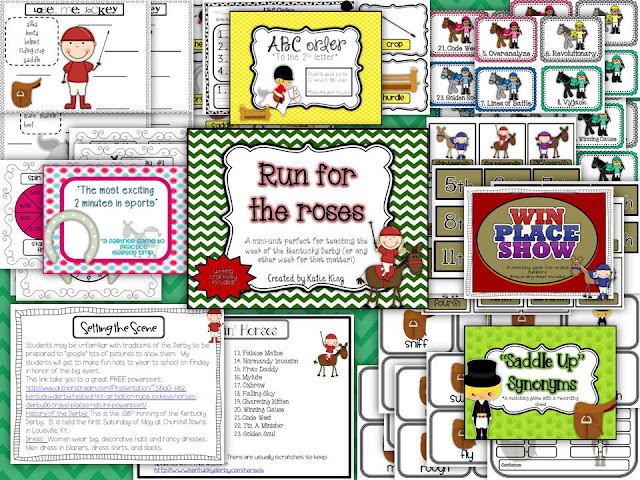 I decided to change out a few fonts and updated the packet on TPT. If you already bought the unit, go re-download it! If you are interested, I will put the packet on sale today and tomorrow! 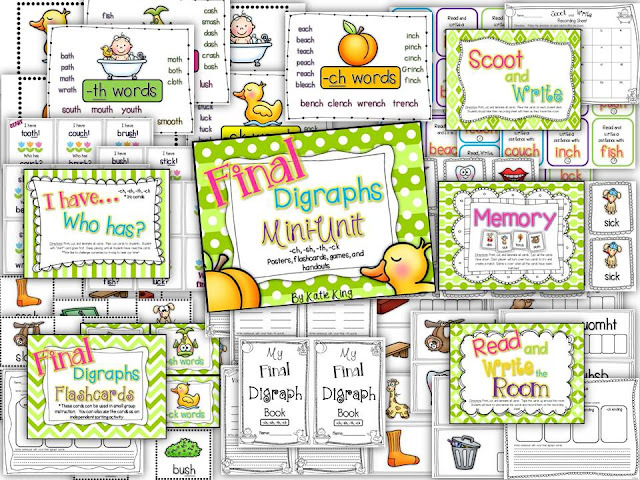 Final Digraphs Mini-Unit Posted and Spring Break! I finished something over Spring Break! I put together this unit filled with games, posters, and handouts for you (and me!) to use with your students. I just LOVE how it all came together! 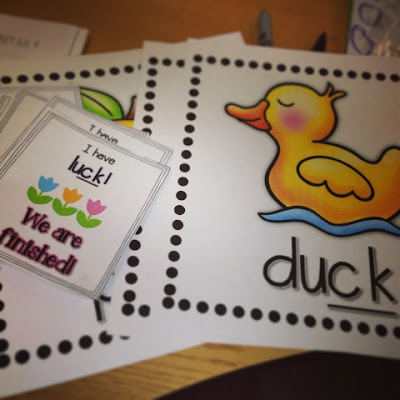 I will be using the posters and word family posters during my small group instruction. My lower reading group will be getting a huge heapping of this unit for a couple of weeks or until we can get that final sound/spelling down! I will be playing a few of the whole class games as a way to get my class moving and review a skill that we haven't seen in a little while! They LOVE the beach so much we still snuck in some time. Since the beach hasn't been a great option, we have spent a lot of time playing at parks and riding bikes. We will have to wait for beach time this summer! I will be heading to meet up with some blogging friends this weekend! I can't wait to tell you who they are, but for now it is a secret! For those of you in school this week, I hope you are hanging in there! If you are on Spring Break like me, I hope you are drinking up every.last.minute.